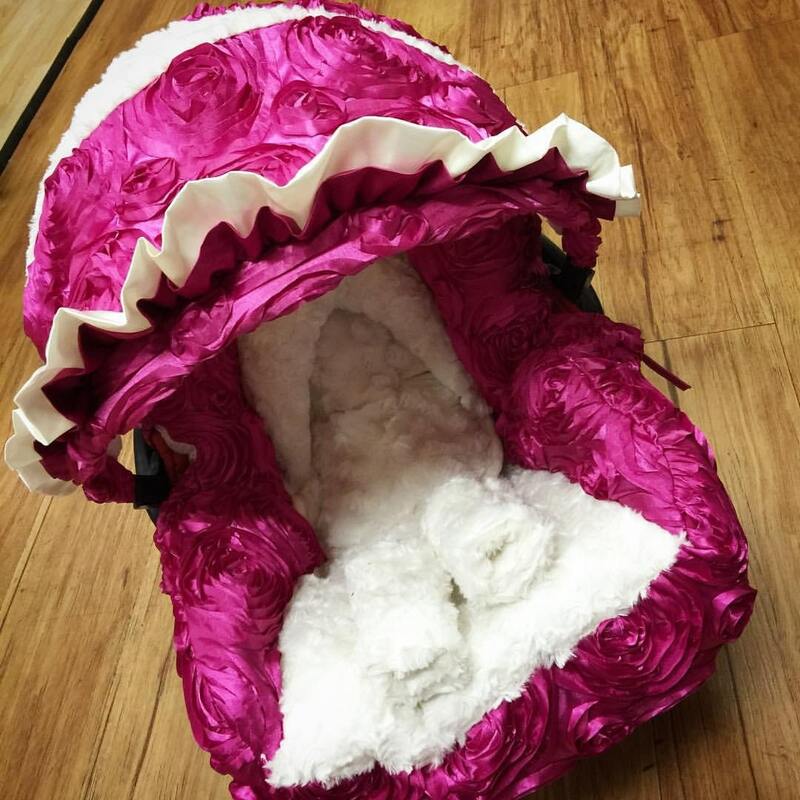 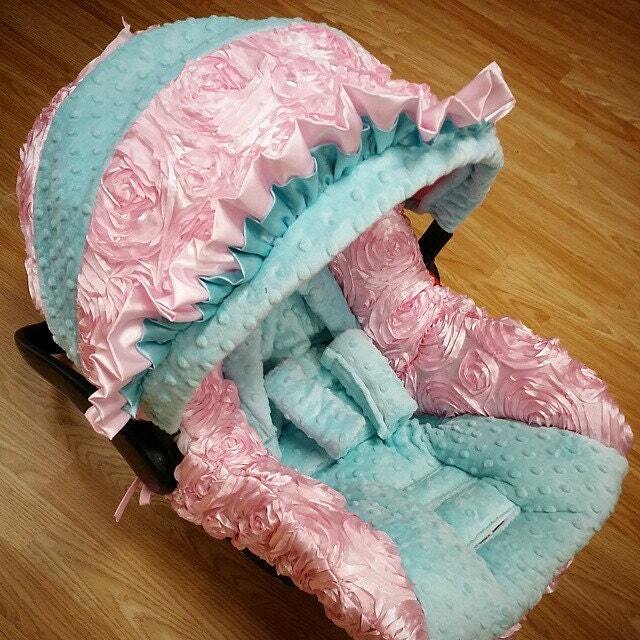 This is a beautiful Replacement infant Car Seat cover made with only the finest fabrics. 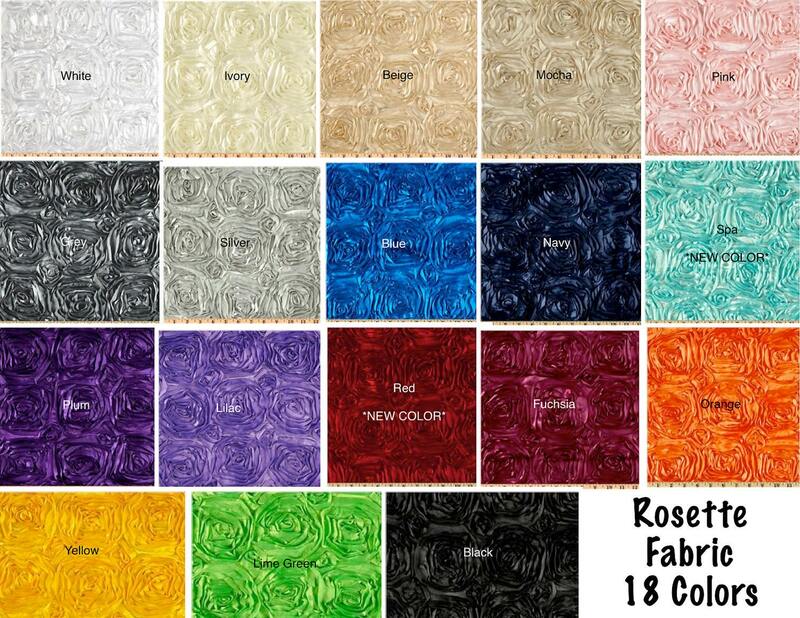 You design what color fabrics you want where, or order as is. 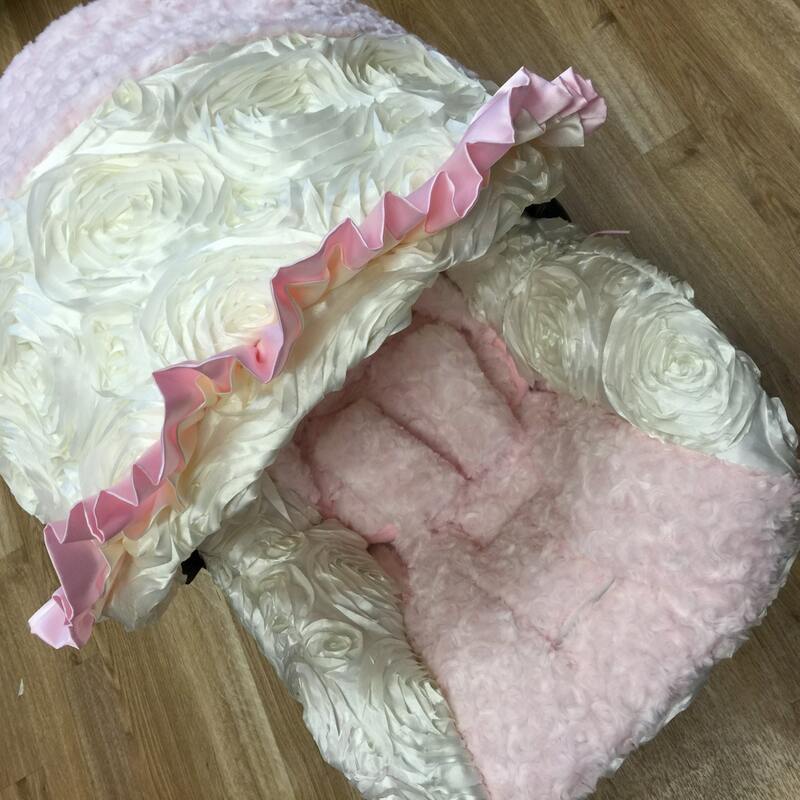 This cover can be made with any of the solid minky swatches and with any of our satin rosette swatches.